JAZ Products is the leading manufacturer of bucket seats, fuel cells, and pit accessories in racing. Pit Stop USA is The Online Motorsports Superstore! We feature Engine Stand Drain Pans at low everyday prices. PitStopUSA.com offers a variety of Engine Stand Tool Trays from the biggest brands in drag racing including Jaz Products Engine Stand Tool Trays and more at low everyday prices. Pit Stop USA is The Online High Performance Superstore! We feature Fill Plate Gaskets at low everyday prices. Pit Stop USA is The Online Motorsports Superstore! We feature Fuel Cell Caps at low everyday prices. Pit Stop USA is The Online Motorsports Superstore! 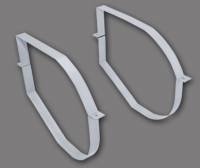 We feature Fender Fillers at low everyday prices. Pit Stop USA is The Online Motorsports Superstore! We feature Fill Plate Gaskets at low everyday prices. Pit Stop USA is The Online Motorsports Superstore! We feature Fill Plates at low everyday prices. Pit Stop USA is The Online Motorsports Superstore! We feature Fuel Cell Filler Necks at low everyday prices. Pit Stop USA is The Online Motorsports Superstore! We feature Fuel Cell Fittings at low everyday prices. Pit Stop USA is The Online Motorsports Superstore! We feature Fuel Cell Mounts & Brackets at low everyday prices. Pit Stop USA is The Online Motorsports Superstore! We feature Pickups & Surge Tanks at low everyday prices. Check out the Recently Listed Fuel Cell/Tank Filler Necks. Check out the Recently Listed Fuel Cell/Tanks. Pit Stop USA is The Online Motorsports Superstore! JAZ Products is the leading manufacturer of bucket seats, fuel cells, and pit accessories in the automotive aftermarket industry. JAZ Products' first venture into the automotive racing market was in 1980 with their now famous "Baja Buster" plastic molded seat. JAZ quickly expanded and today has a complete line of seats, fuel cells, and pit accessories which are internationally acclaimed by circle track, off road, and drag racers. JAZ manufactures 98% of all its products in-house, including rotational, injection, and blow-molded products, upholstery, and metal fabrication. We feature JAZ Fuel Cells, JAZ Circle Track Fuel Cells, JAZ Drag Race Fuel Cells, JAZ Junior Dragster Fuel Cells, JAZ Pro Drag Fuel Cells, JAZ Pro Street Fuel Cells, JAZ Aluminum Fuel Cells, JAZ Econo Rail Fuel Cells, JAZ Fuel Cell Tip Over Valves, JAZ Fuel Cell Fittings, JAZ Fuel Cell Mount Kits, JAZ Nitrous Oxide Fuel Cells, JAZ Pro Stock Fuel Cells, JAZ Fuel Cell Caps, JAZ Fuel Funnels, JAZ Engine Stand Drip Trays, JAZ Protecto 1 Engine Cases, JAZ Valve Train Trays, JAZ Engine Block Off Kits, JAZ Overflow Catch Cans, JAZ Recovery Tanks, JAZ Crankcase Breather Tanks, JAZ Aluminum Drag Racing Seats, JAZ Pro Stock Seats and JAZ SFI-Approved Roll Bar Padding at low everyday prices!